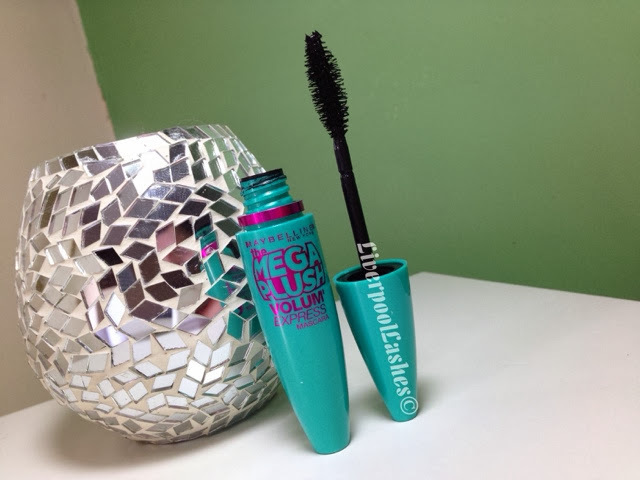 I was with my Mum on an unplanned trip to Tesco when I spotted a Maybelline Mega Plush Volume Express Mascara sealed in its packaging, reduced to £1.29. Without a second thought I threw it into the trolley. I really love their Maybelline The Rocket Volume Express Waterproof (see my post on How to Keep Straight Lashes Curled to see how I use it) so I thought this would be equally as good. Famous last words. The packaging is the same shape but this is where the resemblance ends. When I opened the tube I realised the arrangement of the brush was difference with a larger head and random looking bristles. The wand has a very bendy neck to it. When it came to applying it I feel like the bendy neck means I have little to no control over it. I don't feel like this mascara does much in terms of volume or length. If anything I'd say the only thing it does is coat the lashes to make them black and therefore probably makes them appear slightly longer but I don't think it actually lengthens them. The combination of feeling like the brush is doing its own thing and the fact it give me virtually no volume and hardly any length means I wouldn't repurchase it. I give this mascara a massive thumbs down!